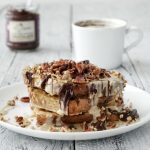 Easy vegan french toast – one of the simplest recipes that I create regularly – but as I get a lot of questions on how I create my French toast every time I post one, here’s a recipe for it! Traditionally ‘Arme Ritter’ is made with bread, milk and eggs – so not a very vegan combination – but hey, that’s what my blog is here for, right? 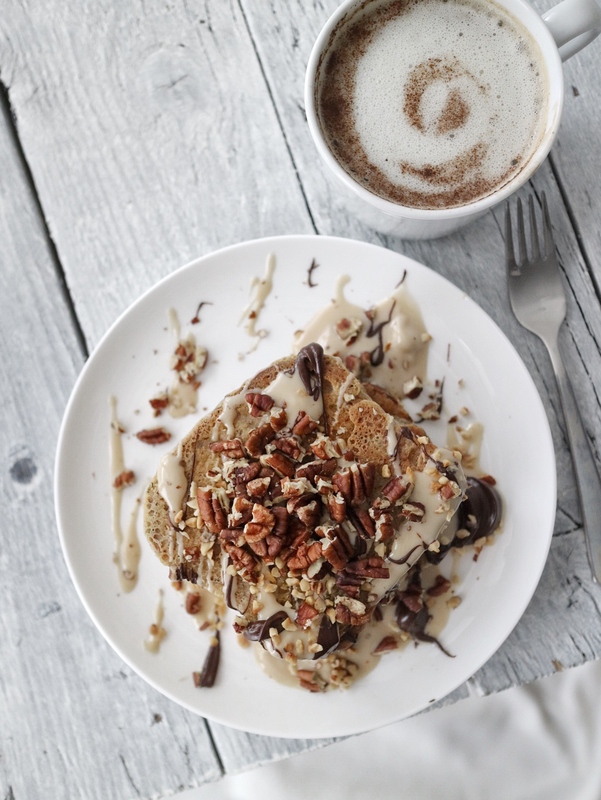 I don’t remember the first ever created this Easy Vegan French Toast Recipe – but it was most likely about 5 years ago when I first had my own kitchen to get experimental in. 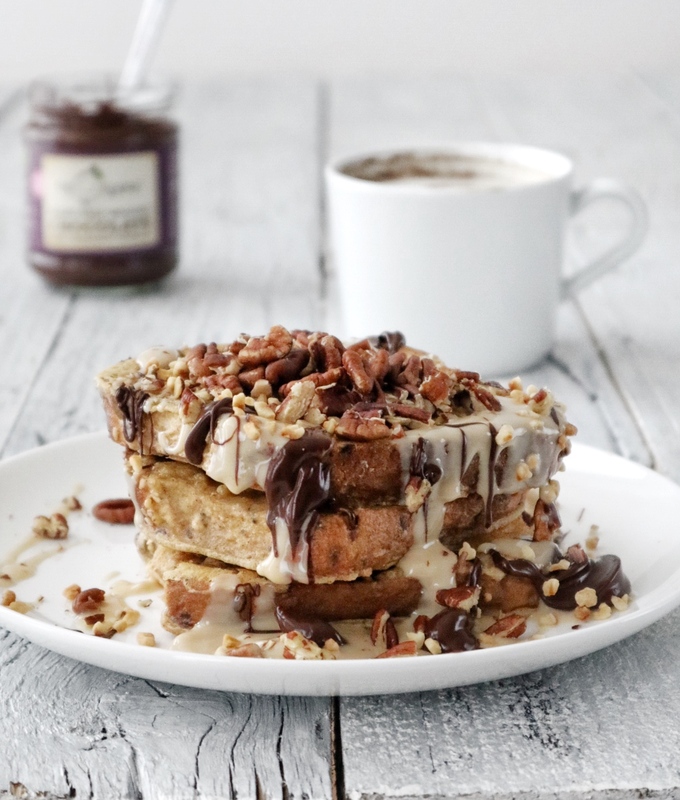 One thing I love the most about this Easy Vegan French Toast is simply that there are no limits to the toppings (I love toppings, in case you didn’t notice until now!). Another bonus is that it’s the perfect way to live that zero waste life and not waste any old bread – definitely the tastiest way to use it up! Now let’s get on to the base recipe for sweet french toast! Take 1 slice of bread and place it in a deep plate (pasta plates are usually good for this!) pour in the plant based milk until it just about covers the slice. Whilst the slice is soaking, heat prepare the flour/milk mix: In a deep plate blend 1 part flour with 1.5 parts milk to create a batter. Stir in the cinnamon to your liking. Gently lift the slice out of the milk bowl and let the milk drip out – place the slice in the flour mix and let it soak for 20 seconds on each side, then gently place it in the frying pan after letting the excess batter drip off. I personally love it when the toast is still nice and moist on the inside – but if you like it crispy, then feel free to fry it a little longer! This will obviously depend on the thickness of your bread slices – I usually use slices that are about 1.5 cm thick, in case that helps you as a reference. Repeat with the rest of your slices, stack up to a portion size of your choice and: Get topping! On purpose I have not added any measurements here, as these very much depend on multiple factors: amount of bread, size of the slices & co. This is of course a very basic easy vegan french toast recipe which can be adjusted to your liking. 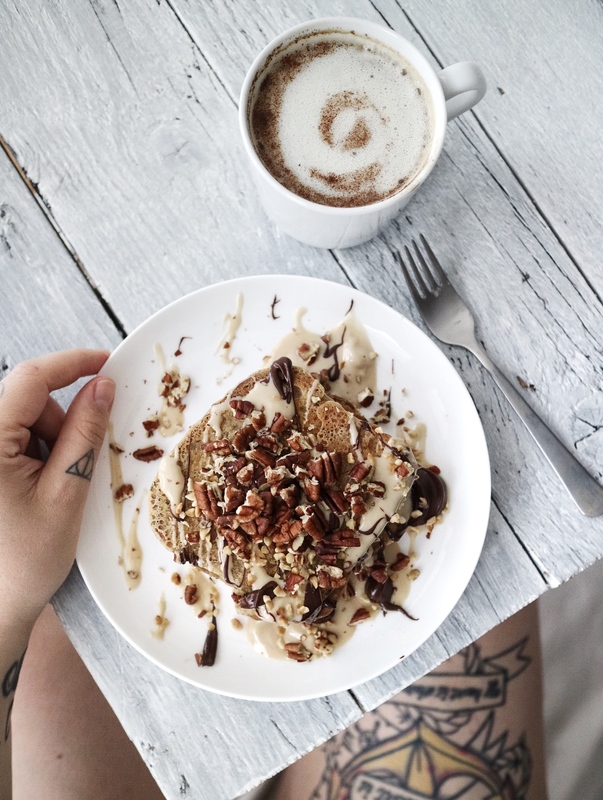 You can of course add protein powder to the flour mix, add flaxseeds or superfoods (if you’re into that), or involve other flavours such as vanilla – or how about cocoa powder? And did someone just say coffee? Maybe with walnuts on the too? Yum!